Exciting twin - stick sci-fi 3D shooter with robots, drones and explosions. CyberSphere is my third game. This is 3D twin stick shooter in sci-fi setting. 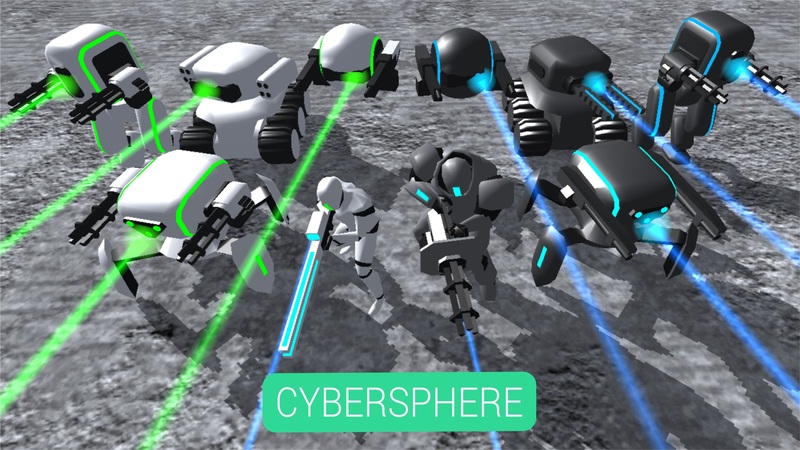 Player protects the base, controlling advanced combat unit - "CyberSphere" using a variety of weapons and support drones. The game supports local multiplayer (PVE and PVP game mode). All is made by myself, and i have spent a lot of time and effort. Since the release of more than a year has passed, and this game has become a big part of my life. I constantly improve it, add new content and capabilities, and do not intend to stop there.